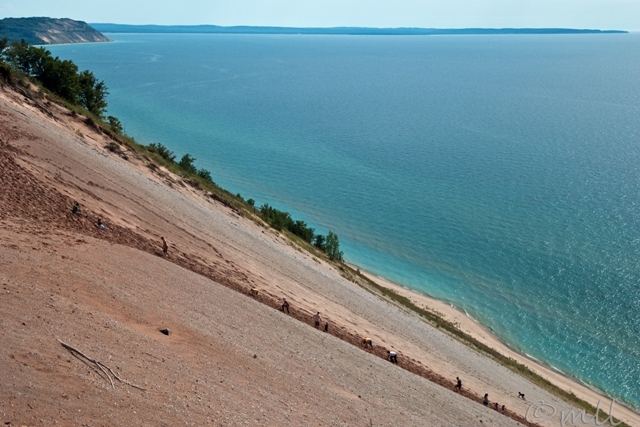 The Lake Michigan Overlook is a popular stopping point on the Pierce-Stocking Scenic Drive at Sleeping Bear Sand Dunes National Lakeshore. Some of us like to admire the view from the edge of the bluff, while other more adventurous souls run down the 450 ft. bluff to the beach below, and then have a long, slow, steep climb back up while they contemplate their choice. My son is visible in the middle of the trail; he's wearing a bright yellow shirt. He's training for cross country, so the climb was a good workout for him. I was happy to stay atop the bluff with my camera! 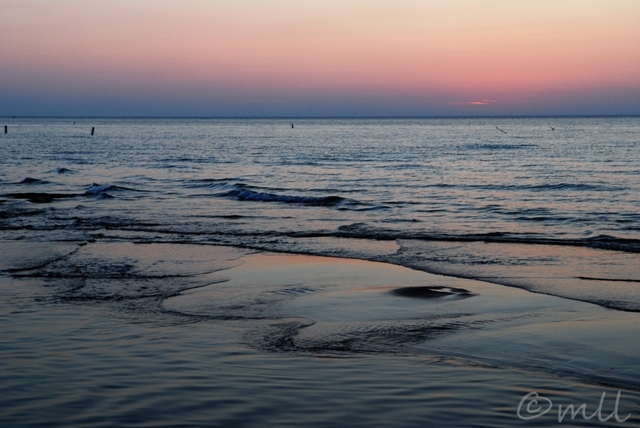 What a great sunset last night at the Indiana Dunes State Park. I was thinking it was going to be really flat because the sky was so blank, but after the sun set the sky got this great pink glow, which reminded me of Central Valley sunsets. Also there was a sandbar right near the shore, so it gave a nice reflection off the water. The dark circle in the sandbar is the remains of someone's sand castle. Chicago was barely visible before the sun set; if it were visible in the photo, it would be at the right edge. Back in Portland tonight, but I will probably have a few more Indiana and Michigan photos to post in the next few days. We (FINALLY) move in on Wednesday, so after that I doubt I'll post for a week or so...but so glad to be moving in! 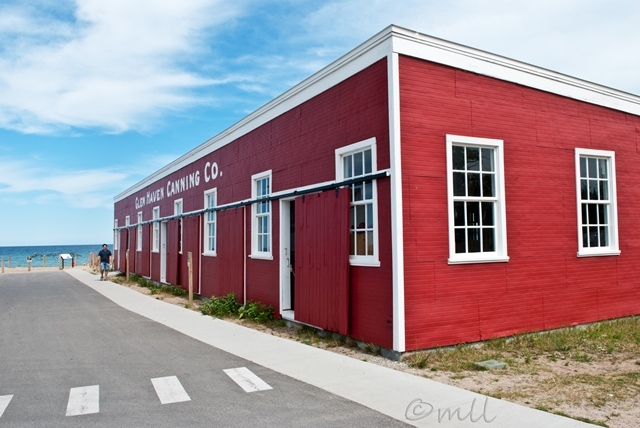 The Sleeping Bear Coastguard Station Maritime Museum is housed in an old cherry cannery from the early 1900s. 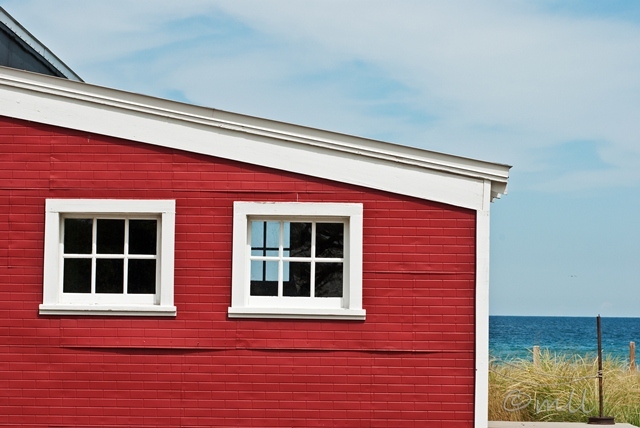 There are a dozen or so historical buildings here from the original company town, but the museum is the only one painted in this cheery shade of cherry red. It's really late in the year to see a snow fence still up (or maybe really early?) 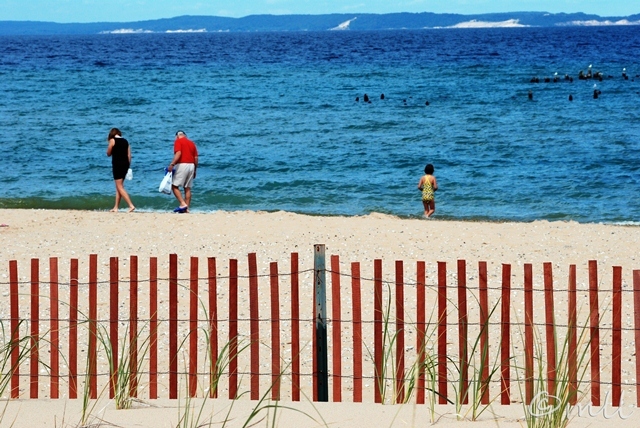 But it turns out that this snow fence at the Sleeping Bear Maritime Museum in Glen Haven, Michigan was put up to protect a habitat restoration project. Marram grass is an important part of the dunes ecosystem, and although I left it out of the photo here, small clumps of the beach grass were already growing in their protected area behind the fence. 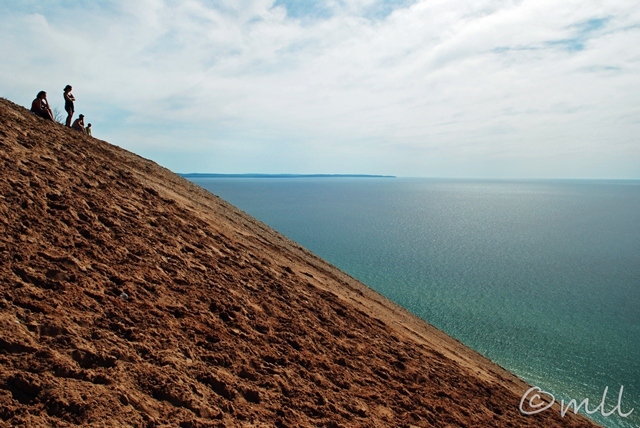 Gorgeous view today from the edge of the bluff at Sleeping Bear Dunes National Lakeshore. 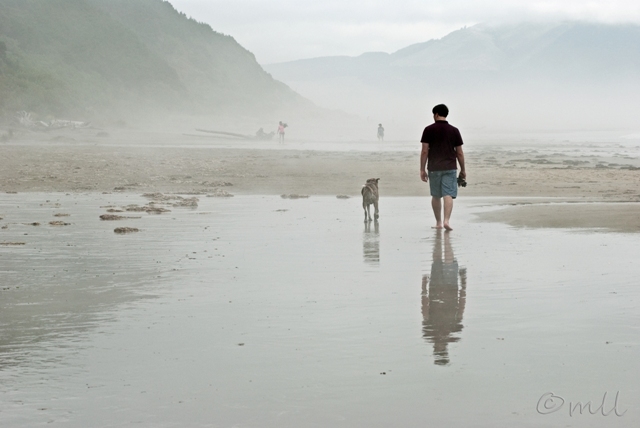 Eric and Clover explore the coastline at Oceanside Beach near Tillamook, Oregon yesterday afternoon. It was sunny everywhere except right along the coast. We're familiar with this weather pattern which is common in Northern California as well. We didn't mind though; the weather was warm and calm, and I happen to think this mistiness is sort of pretty, and fun to photograph in for a change of pace! 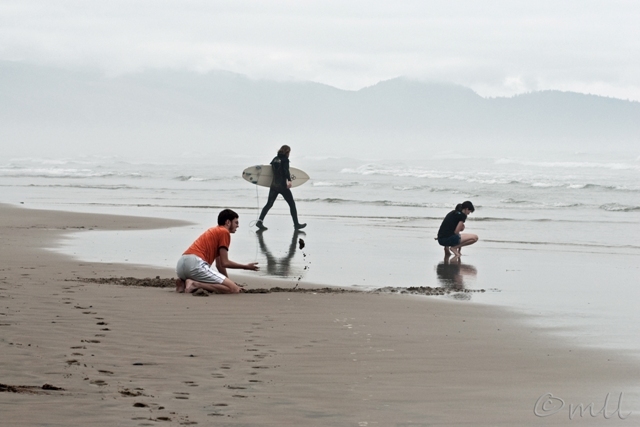 We got out to the coast today for a relaxing day, touring the Tillamook Cheese Factory, and exploring the beach. Someone in my family (hint: he's wearing orange) didn't want to have any fun at the beach, but I caught him "doing beachy things" in spite of himself. It's summertime and you know what that means. Gonna head down to the beach, gonna do some beachy things. We're not moved in yet; still in temporary quarters, but starting to settle in a little and explore the Portland area. 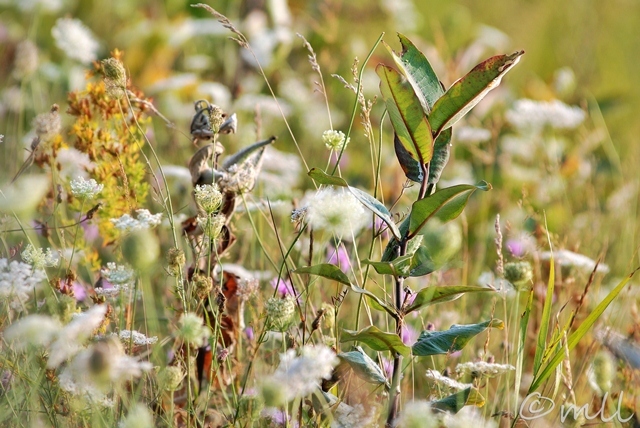 Today we found a running trail with plenty of Queen Anne's lace along the edges. 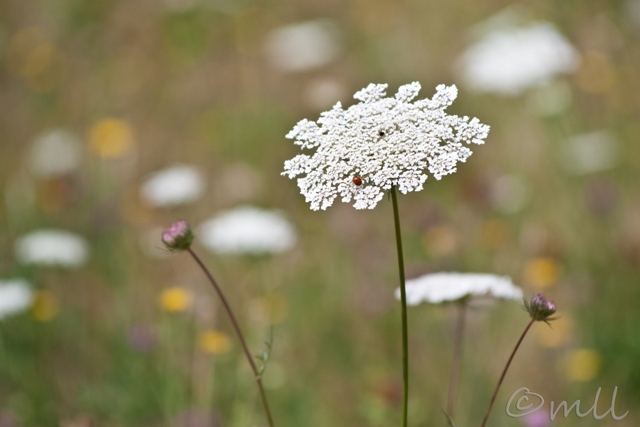 Technically a weed, Queen Anne's lace is one of my favorite "flowers" because it reminds me of childhood summers in Indiana. 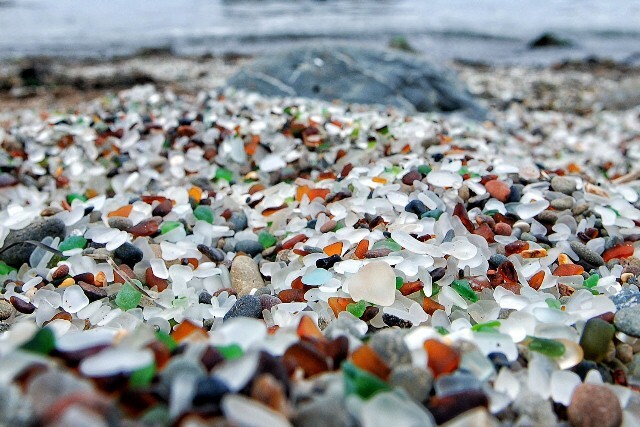 The town of Fort Bragg is divided on whether the glass at Glass Beach should be collected or not. Some feel it's a local treasure to be protected, while others feel that the glass brings tourism to the town. The curator at the Glass Beach Museum is in the second camp. In fact he thinks that the town should again dump its glass into the ocean. 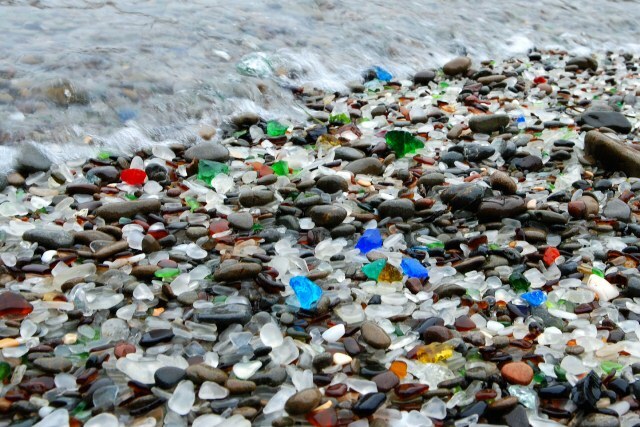 Since glass is made from sand, he considers dumping glass at the beach to be the ultimate form of recycling. At the museum you can purchase glass seeds to "plant" along the shore. 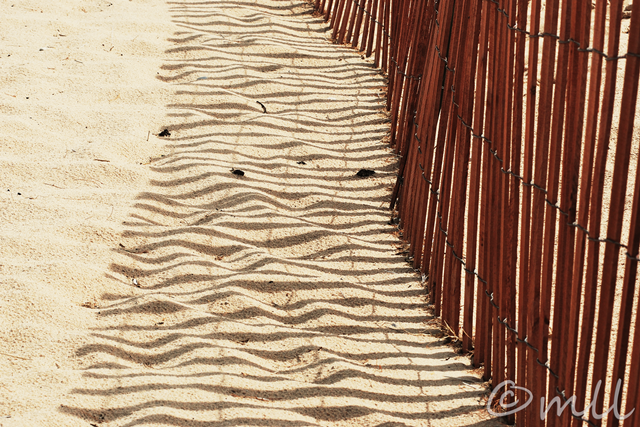 We spotted these freshly planted seeds just before the rising tide swallowed them up. Throughout its early history, and in fact up to 1967, the coastal town of Fort Bragg dumped its garbage over a cliff into the Pacific Ocean. Most of it was burned, but the remaining glass and pottery, churned by the waves, was worn smooth and collected in coves along the shoreline. On our way into town, we stopped in at the Beach Glass Museum for a bit of history on this unusual site. Well worth the $2.00 admission, we learned what went into the large variety of colored glass that can be found along the beach, and the general use for each color of glass. It was pretty fascinating for a die-hard beachcomber like me. There must have been ten different shades of green alone! After the tour we got a map the the not-so-"secret" beach. Too much fun for one afternoon! My new calendar is finally here, and I'm really happy with how it turned out! I've added a link on the blog for my sale page on Amazon.com. The cover photo showed up on the blog last October as "Aspen Reflection." 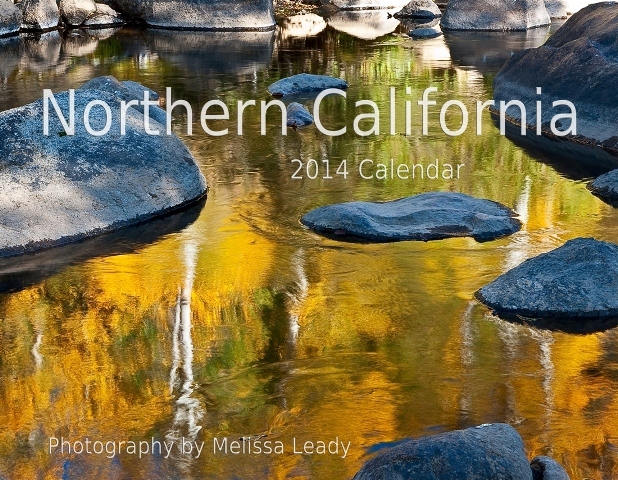 It was taken along the Carson River in Hope Valley, east of Lake Tahoe.